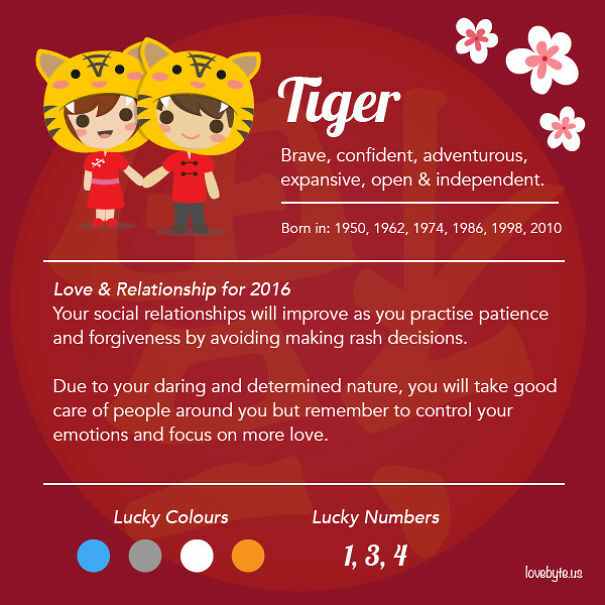 Like the Western Zodiac, many read up on their horoscope each Chinese New Year to see what the year ahead brings for them. 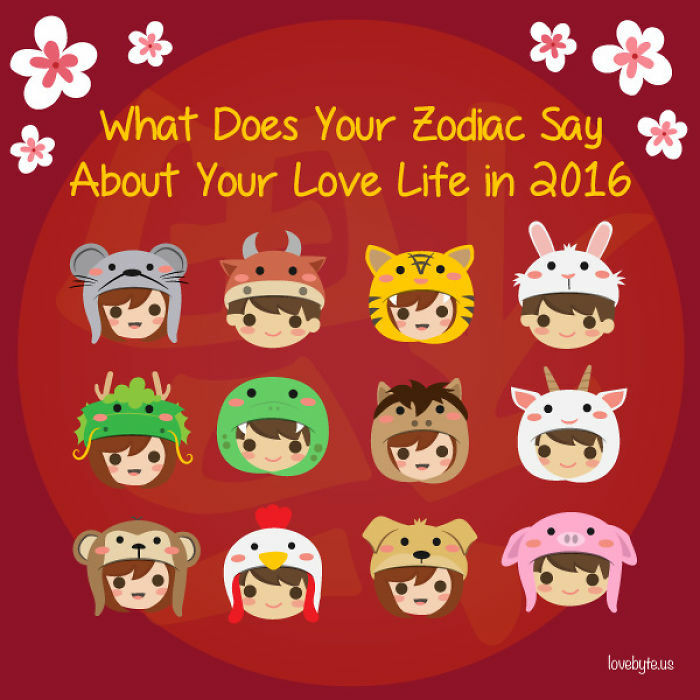 The Lunar Year of the Monkey will arrive in less than a month, so why not have a bit of fun and discover how your love life in 2016 based on the traditional Chinese zodiac animals? 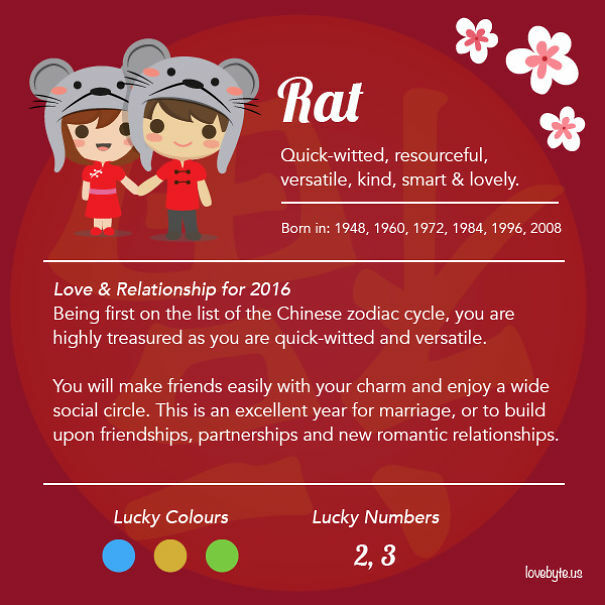 The Chinese Zodiac is represented by 12 animals and follows a 12-year cycle. 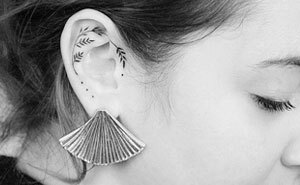 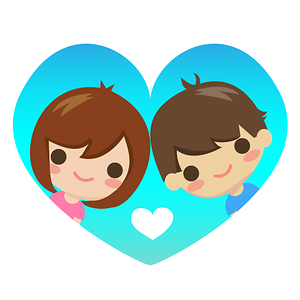 It is believed that you share certain traits with the animal representing the year you are born in. 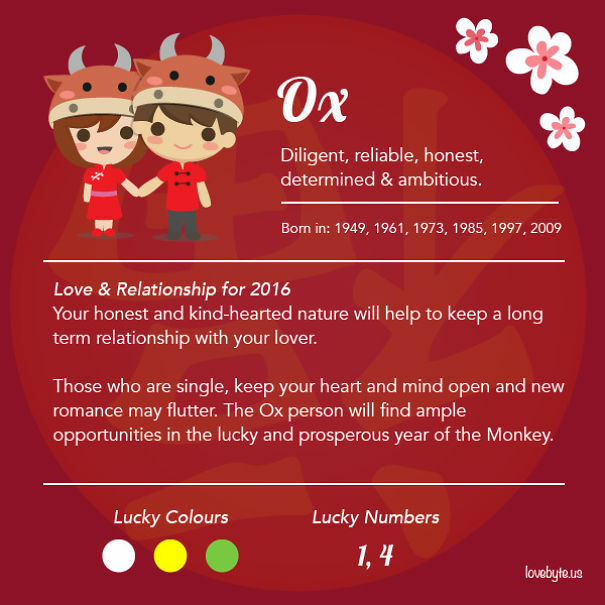 LoveByte, an app (iOS/Android) that help documents couple’s happy moments into a love story, have done up a love forecast for this coming lunar year.